Young couples face a complicated decision at a time when the dire consequences of climate change are becoming clearer: Is it ethical to bring a child into the world? Science journalist Britt Wray talks with parents, prospective parents, ethicists, scientists, and children on this thorny question. **This episode originally aired November 21, 2018. A growing number of people of childbearing age are questioning whether it is ethical to have children in the face of a future that promises to be increasingly unstable, insecure and hot. The carbon legacy of each child born into an industrialized country is significant. 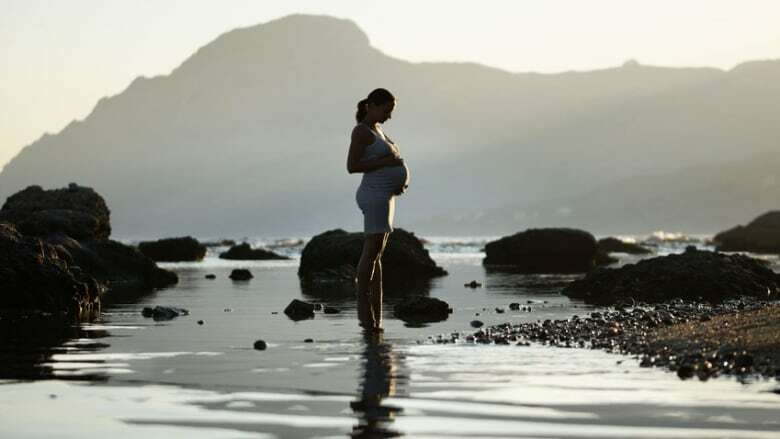 "Having a child is one of the most impactful things you can do to the environment," says bioethicist Travis Rieder, of Johns Hopkins University. "Run the math — having a child is equal to emitting [nearly] 10,000 metric tons of carbon. That's six times the amount in your own lifetime." Rieder is referring to the 2009 paper, Reproduction and the Carbon Legacies of Individuals. It estimates that in the United States, every child a woman has will add, on average, about 9,441 metric tons of carbon dioxide to her emissions scorecard over her lifetime. He proposes that the outsized carbon legacies of people in industrialized countries with heavy emissions means they should be morally bound to have fewer kids than people in the developing world who emit far less carbon. "I don't think there's a uniquely justified family size," says Rieder, who is father to one child. But he suggests that governments might consider incentivizing smaller families. Population ethicist Karin Kuhlemann of University College London takes the argument a step further to argue that concern over global fertility levels should not be relegated to industrialized countries. "Things become much harder to do when there are more people you need to help — and we're talking extra billions of people," says Kuhlemann, referring to population projections for the turn of the century. The history of environmentalism concerning itself with population casts a dark shadow of human rights violations, and many scientists and policy makers don't believe we need to approach through discussions of population control. "Having children is a deeply personal choice and a human right," says environmental scientist Erle Ellis of the University of Maryland. "The biggest levers on a better future is not in the number of children we have, but with how we use the environment to sustain human societies." He argues that being a good parent to a new human is one of the best ways to help make a better future. If young people decide to deal with climate change through reproductive restraint, he can only see that as "a cop out" from building a better tomorrow. Now is not the time for pessimism, he asserts. "I absolutely believe the doom and gloom perspective on climate change is something that's caused people to become depressed and less active. It's not about doing one political act this year. We have to be in this race for the long haul. The doom does not get you motivated." Cecilie Glerup is a consultant and mother in Copenhagen. Sebastian Damm Wray is a Danish diplomat working in the U.S., and contributing producer Britt Wray's husband. Travis Rieder is a professor of bioethics at Johns Hopkins University and author of Toward a Small Family Ethic. Josephine Ferorelli and Meghan Kallman are climate justice activists and co-founders and co-directors of Conceivable Future. Erle Ellis is a professor of environmental science at the University of Maryland, Baltimore County who studies long-term ecological changes caused by humans. Tai Poole is a CBC broadcaster with his own podcast, Tai Asks Why. **This episode was produced by Britt Wray and Nicola Luksic.